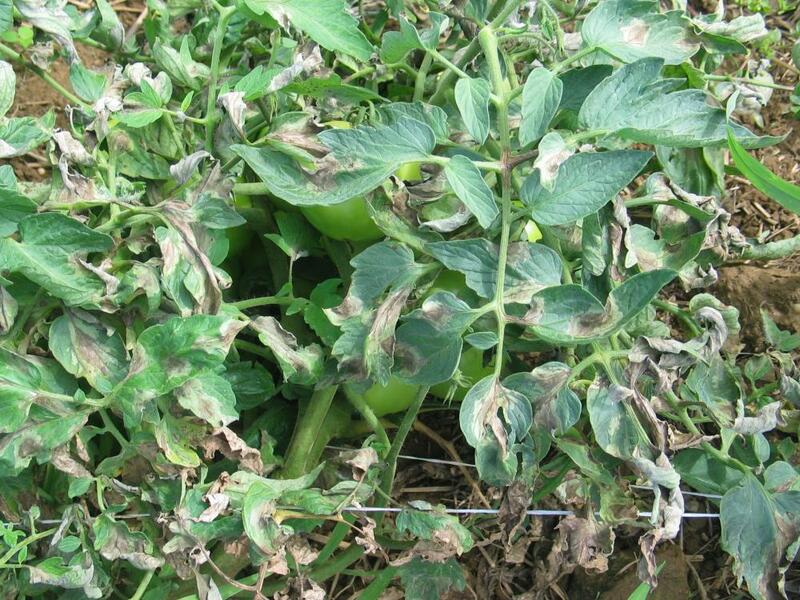 Bacterial canker can affect tomato plants of any age, seedlings may be killed quickly once they become infected; initial symptoms of bacterial canker is the unilateral wilting of plants and formation of light colored streaks up and down the outside of the leaf midrib, petiole and stem; streaks on stems may break open to form cankers; mature leaves develop small necrotic spots on the upper leaf surfaces or small raised white spots on the leaves; white spots develop on fruit, usually while they are still green; spots on fruit develop a raised dark center and are known as "bird's eye spots"
Dark specks appear on the leaves, often associated with a yellow halo; foliar symptoms of bacterial speck are very difficult to distinguish from bacterial spot but can be differentiated by symptoms on the fruit; lesions on fruit are much smaller than those caused by bacterial spot; lesions on fruit are raised and scaly. 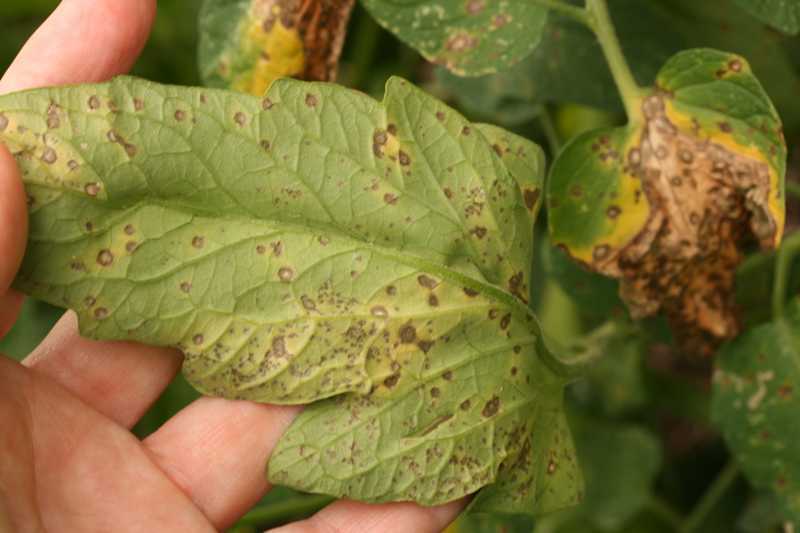 Bacterial spot lesions starts out as small water-soaked spots; lesions become more numerous and coalesce to form necrotic areas on the leaves giving them a blighted appearance; of leaves drop from the plant severe defoliation can occur leaving the fruit susceptible to sunscald; mature spots have a greasy appearance and may appear transparent when held up to light; centers of lesions dry up and fall out of the leaf; blighted leaves often remain attached to the plant and give it a blighted appearance; fruit infections start as a slightly raised blister; lesions may have a faint halo which eventually disappears; lesions on fruit may have a raised margin and sunken center which gives the fruit a scabby appearance. 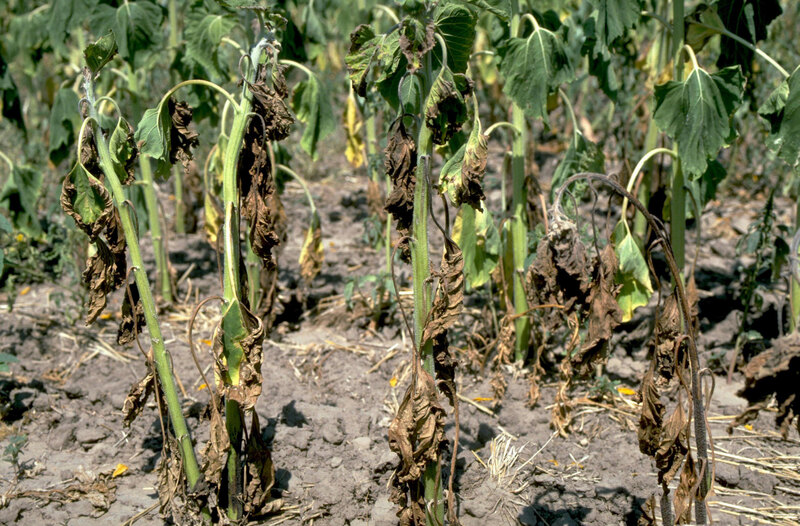 Initial symptoms of the disease is the wilting of a few of the youngest leaves; the disease progresses rapidly in hot weather and the entire plant wilts suddenly and dies; in cooler conditions, wilting is less rapid and plant may produce roots on the stems; vascular tissue shows a brown discoloration and decaying roots; stems cut under water will ooze bacterial exudate and will confirm the symptoms are not caused by Fusarium wilt. 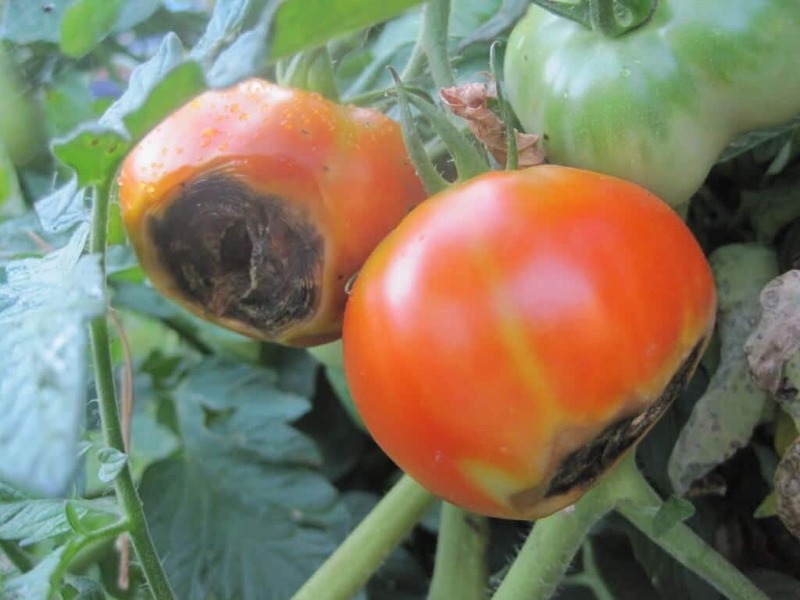 Disease causes the appearance of black or brown lesions on the surface of ripe fruit; lesions may be tiny flecks or may be large patches of decaying tissue; during periods of humid weather, the lesions may become covered in black, velvety spore masses. 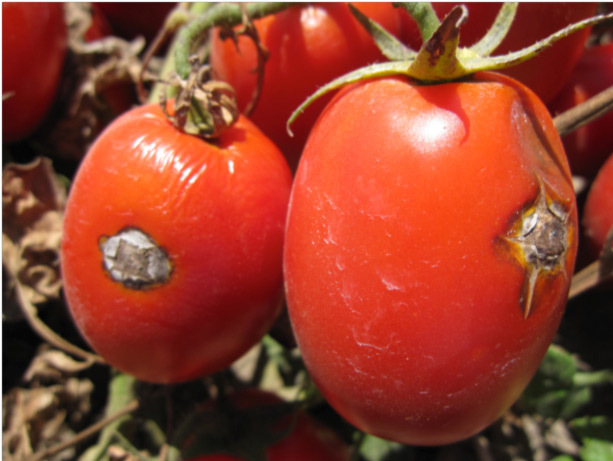 Blossom end-rot is caused by a low concentration of calcium in the tomato fruit; symptoms initially appear as light tan, water-soaked areas which can then enlarge and turn black and leathery in appearance; symptoms are most often seen at the blossom end of the fruit, but may also occur on the side of the fruit; blossom-end rot may also occur internally with no visible symptoms on outside of fruit. 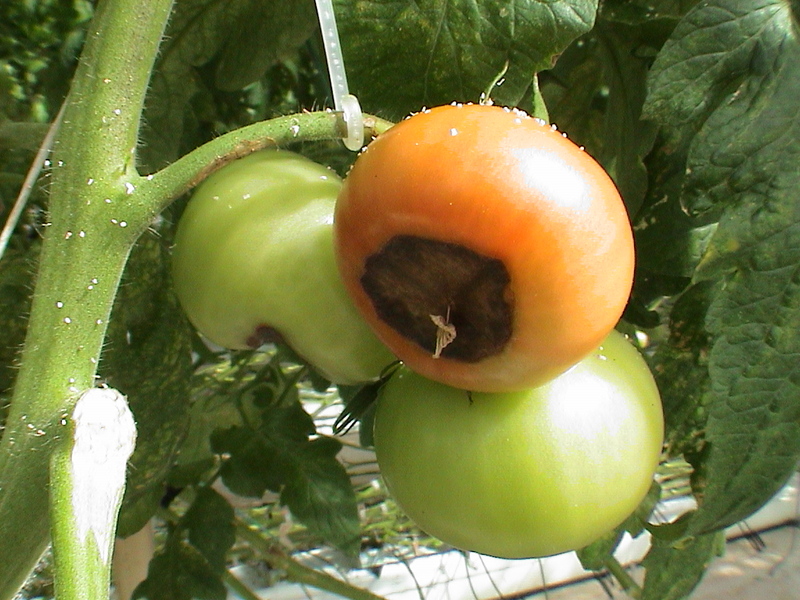 Buck eye rot of tomato initially appears as a brown spot on the fruit which enlarges over the fruit surface and forms concentric rings; the lesions may eventually cover up to half of the fruit and the flesh develops a soft rot underneath the skin; green or red fruits can be affected and disease often develops where fruit is in contact with the soil; white cottony growth may be visible in the centers of affected regions; spots enlarge and form large concentric ring shaped symptoms which are usually brown in color with sunken edges; the Phytophthora pathogen also causes root rot; young plants may exhibit a white cottony growth at crown of the plant and begin to wilt as the damage to the roots progresses; Phytophthora root rot can cause severe destruction of plant roots and cause the plants to wilt completely. 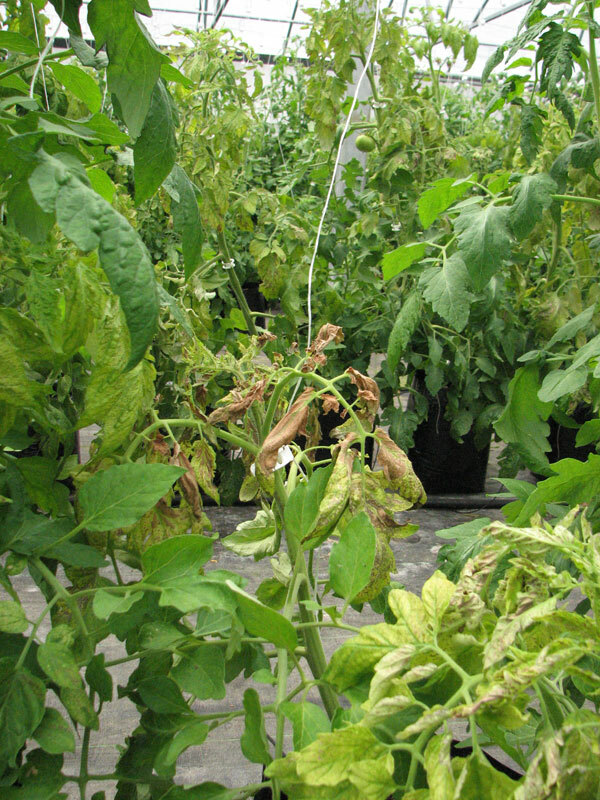 Young plants are usually killed by the virus; older plants are stunted and turn yellow to bronze in color with purple-tinged leaves; leave become thickened and roll upwards; leaf petioles roll downwards; green fruit turns red regardless of its age and becomes dull in color and wrinkled; plants do not recover form the disease and will not flower of produce fruit after infection. 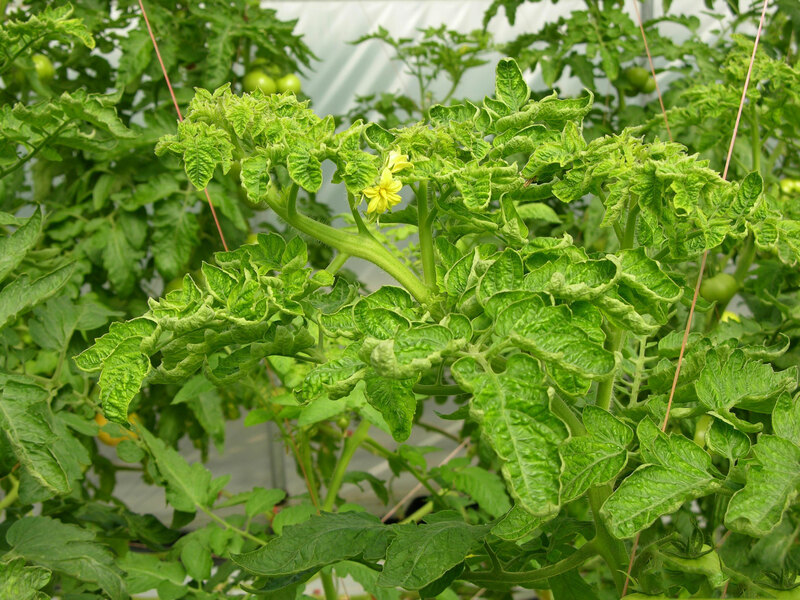 Disease appears on tomato seedlings at or just below the soil line as a fuzzy gray-brown lesion which often girdles the stem, if stem is girdled all parts of the plant above the lesion begin to wilt; infected flowers and calyxes become covered in gray spores; unripe fruit turns light brown or gray in color and rots; green fruit infected by airborne spores develop circular white rings called "ghost spots". 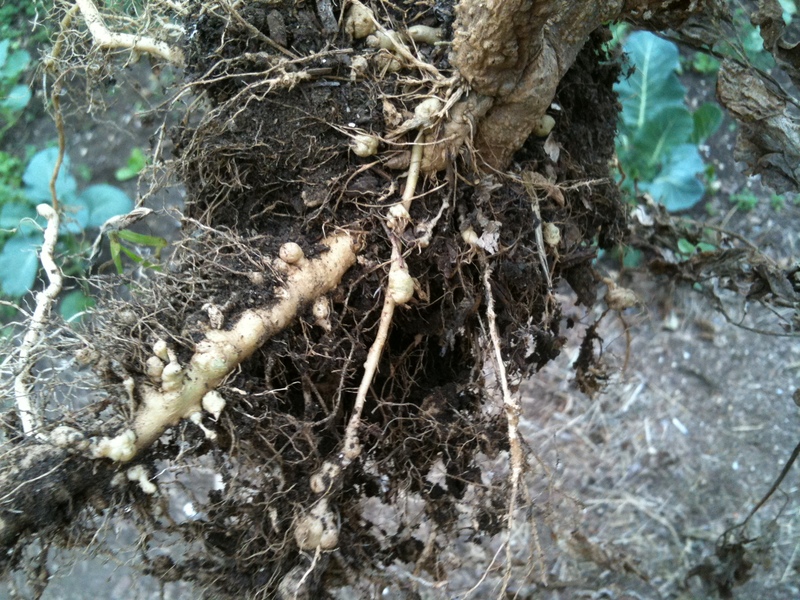 On 30th day, hoeing and weeding has to be done once and the plants are earthed up. 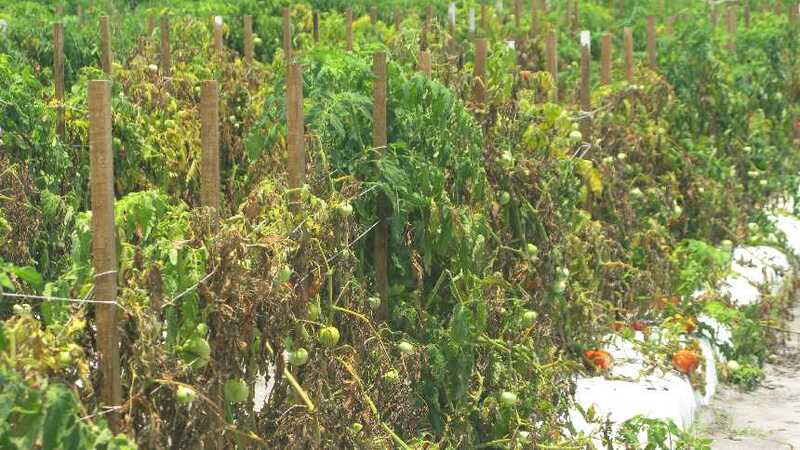 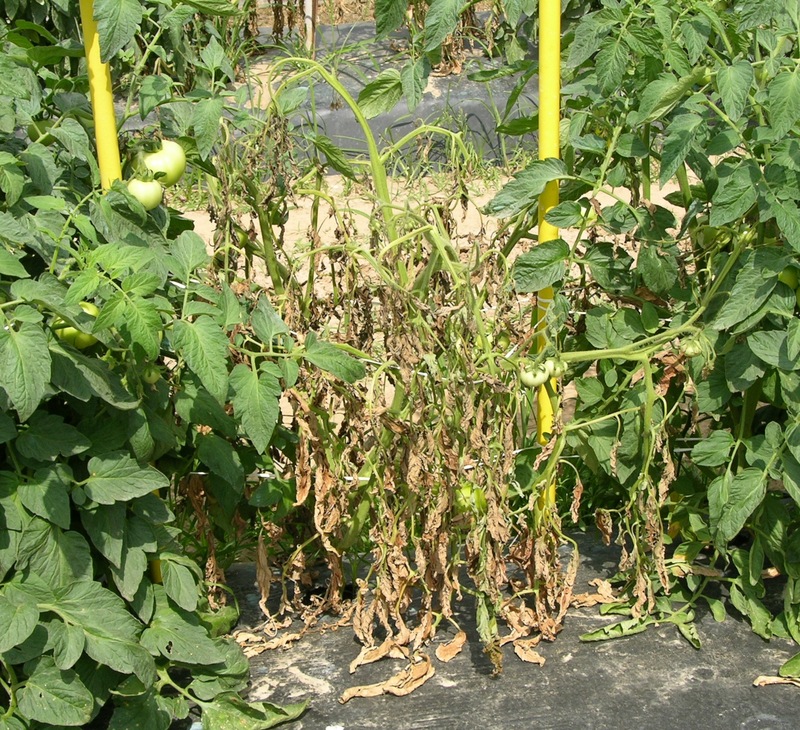 Late blight affects all aerial parts of the tomato plant; initial symptoms of the disease appear as water-soaked green to black areas on leaves which rapidly change to brown lesions; fluffy white fungal growth may appear on infected areas and leaf undersides during wet weather; as the disease progresses, foliage becomes becomes shriveled and brown and the entire plant may die; fruit lesions start as irregularly shaped water soaked regions and change to greasy spots; entire fruit may become infected and a white fuzzy growth may appear during wet weather. 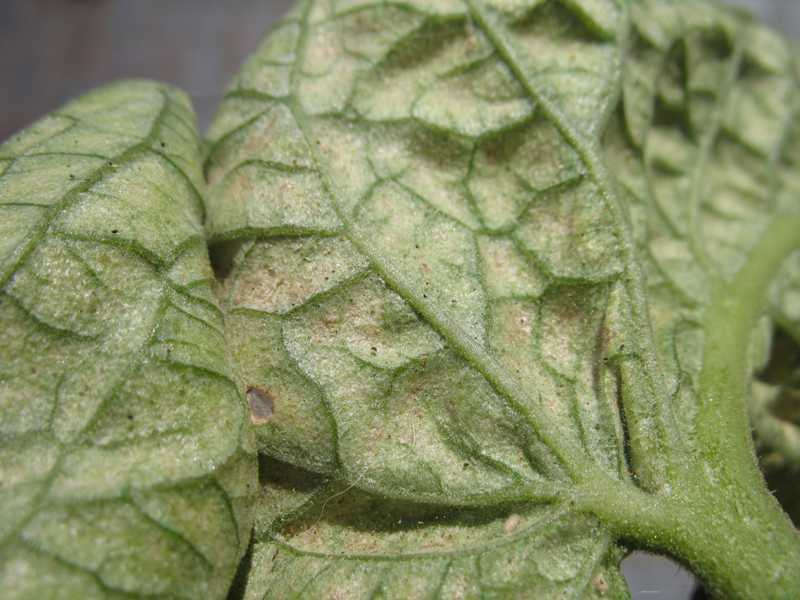 The older leaves exhibit pale greenish to yellow spots (without distinguishable margins) on upper surface. 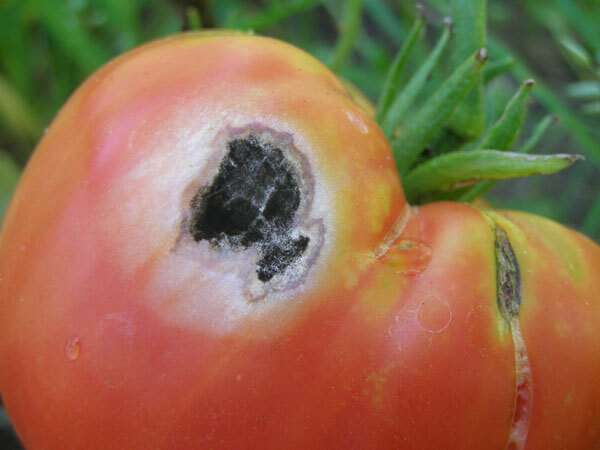 Whereas the lower portion of this spots exhibit green to brown velvety fungal growth. 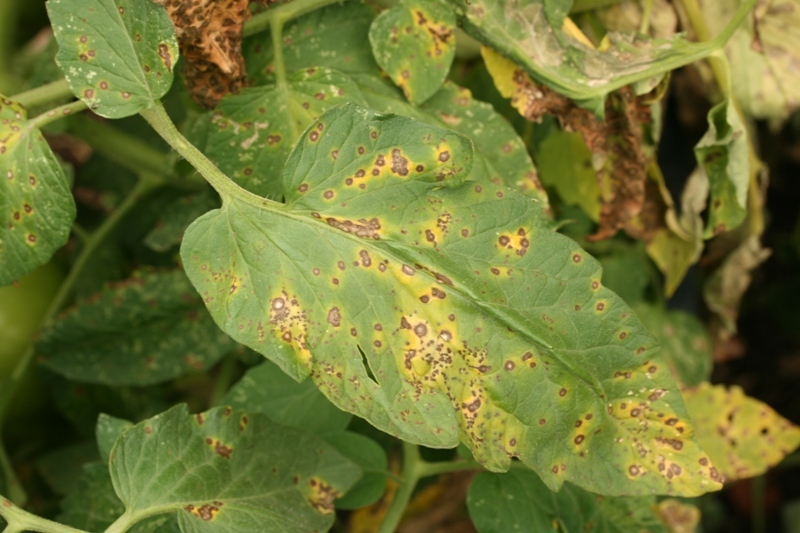 As the disease progress the spots may coalesce and appear brown. 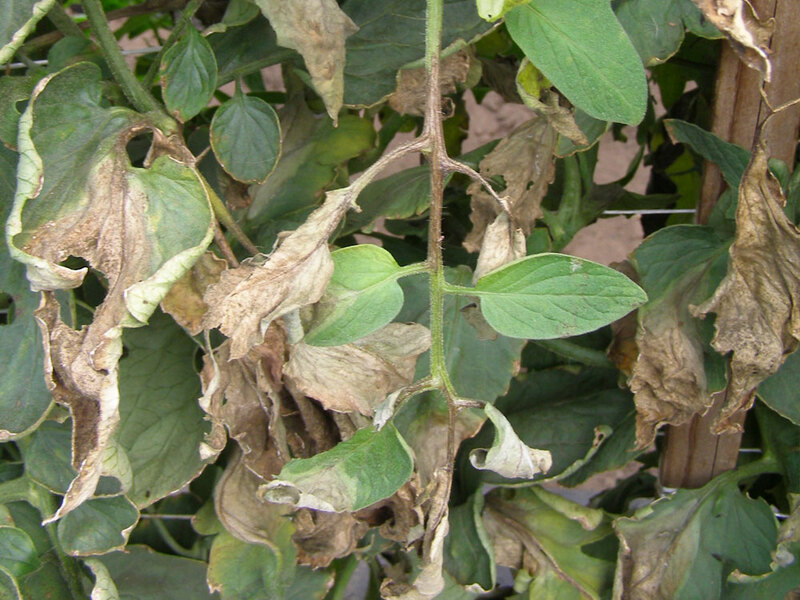 The infected leaves become wither and die but stay attached to the plant. 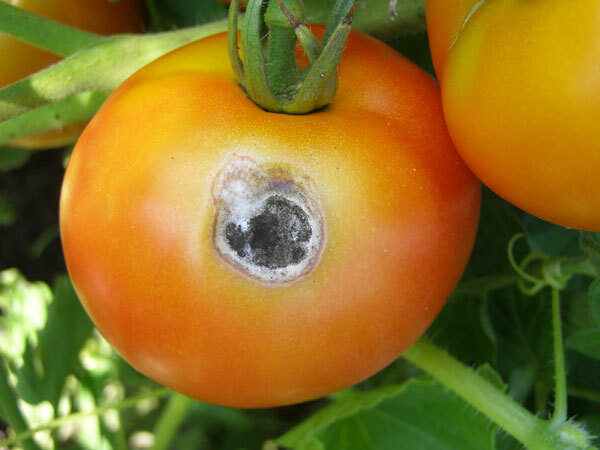 The fungus also infects flowers and fruits. 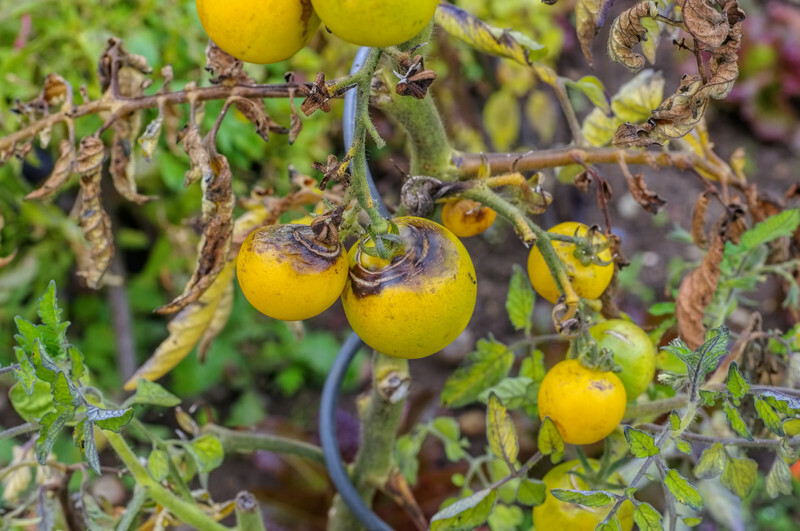 The affected flowers become black and drop off. 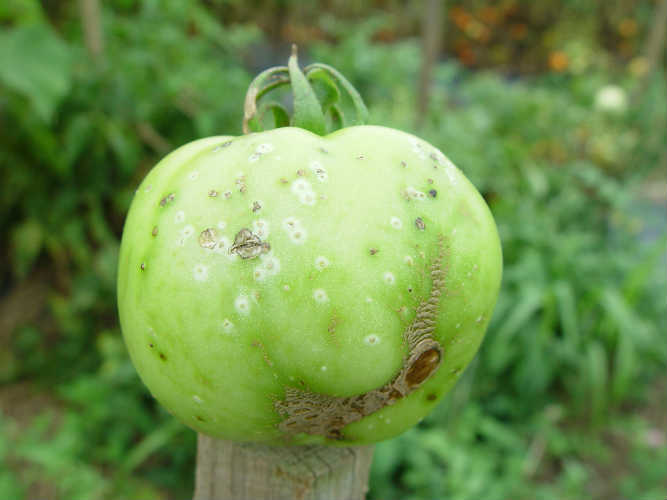 The affected fruit intially shows smooth black irregular area on the stem end but later it becomes sunken, leathery and dry. 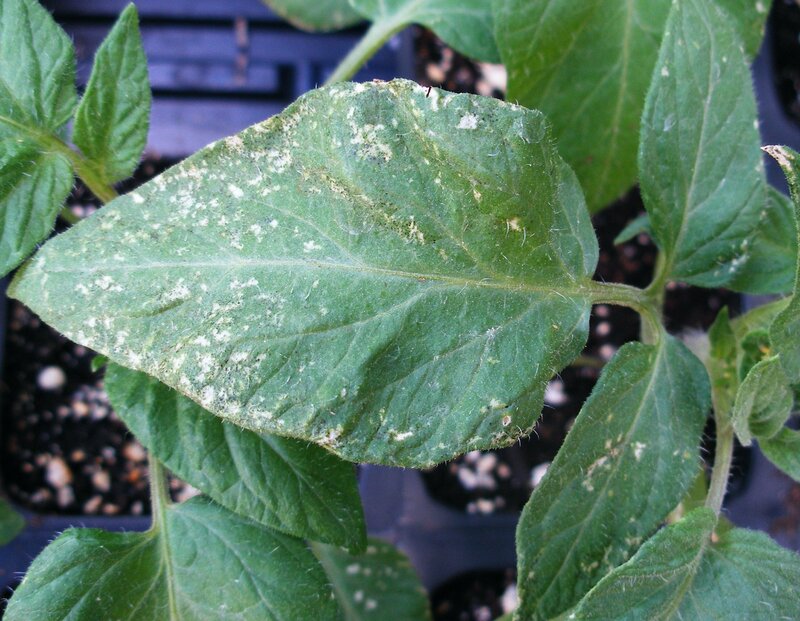 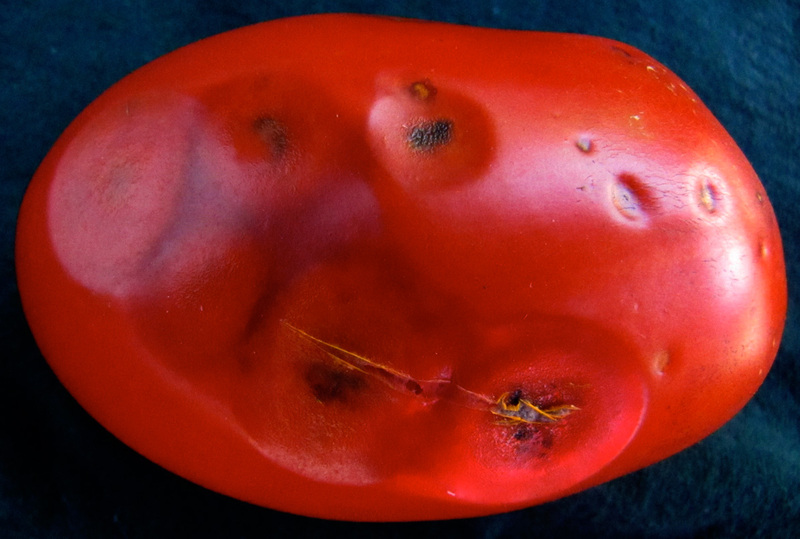 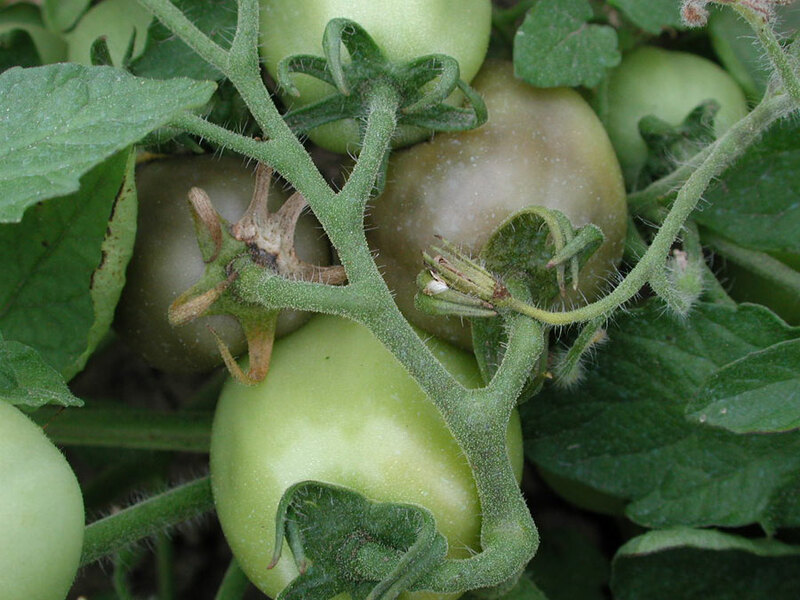 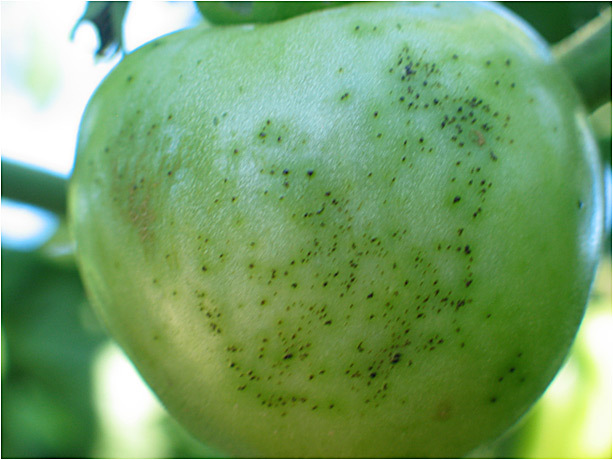 Symptoms may occur at any stage of tomato development and begin as small, water-soaked spots or circular grayish-white spots on the underside of older leaves; spots have a grayish center and a dark margin and they may colasece; fungal fruiting bodies are visible as tiny black specks in the center of spot; spots may also appear on stems, fruit calyxes, and flowers. 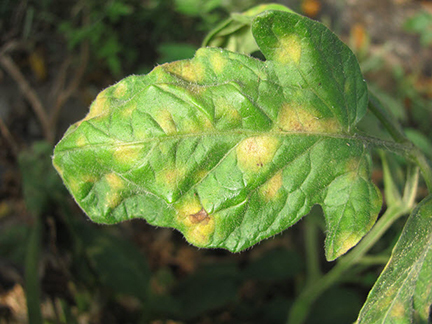 Symptoms can occur at any growth stage and any part of the plant can be affected; infected leaves generally exhibit a dark green mottling or mosaic; some strains of the virus can cause yellow mottling on the leaves; young leaves may be stunted or distorted; severely infected leaves may have raised green areas; fruit yields are reduced in infected plants; green fruit may have yellow blotches or necrotic spots; dark necrotic streaks may appear on the stems, petioles leaves and fruit. 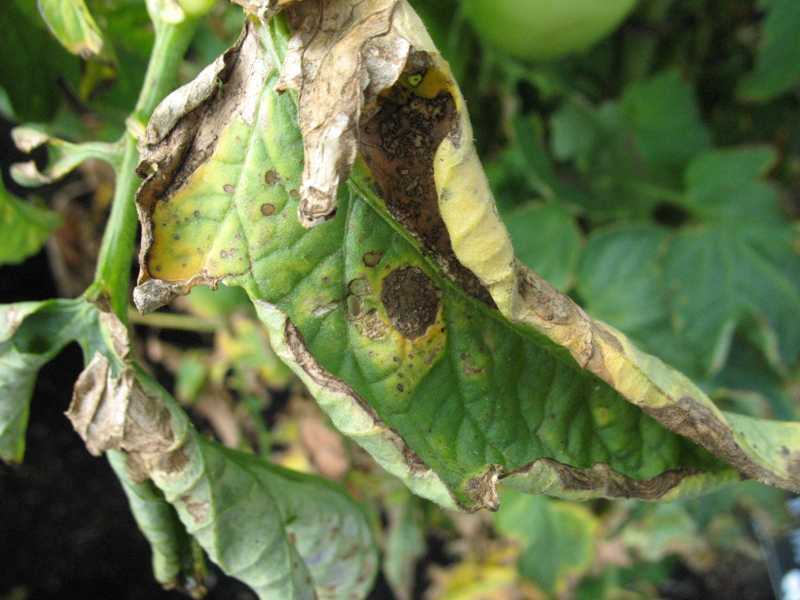 Infected plants exhibit bronzing or purpling of the upper sides of young leaves and develop necrotic spots; leaf spots may resemble those caused by bacterial spot, but a bacterial ooze test will be negative; leaves may cup downwards, shoot tips may begin to die back; symptoms on ripe fruit appear as chlorotic spots and blotches, often with concentric rings; ring spot symptoms vary with different tomato cultivars; irregular ripening caused by TSWV can also show up when fruit are treated with ethylene gas; green fruit may exhibit slightly raised areas with faint concentric zonation. 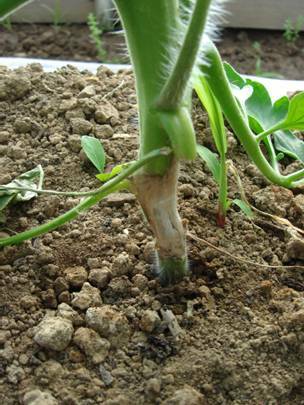 Spray ACUROSIL NANO+ @2ml/ltr for consecutive 3 applications in every 5 days. 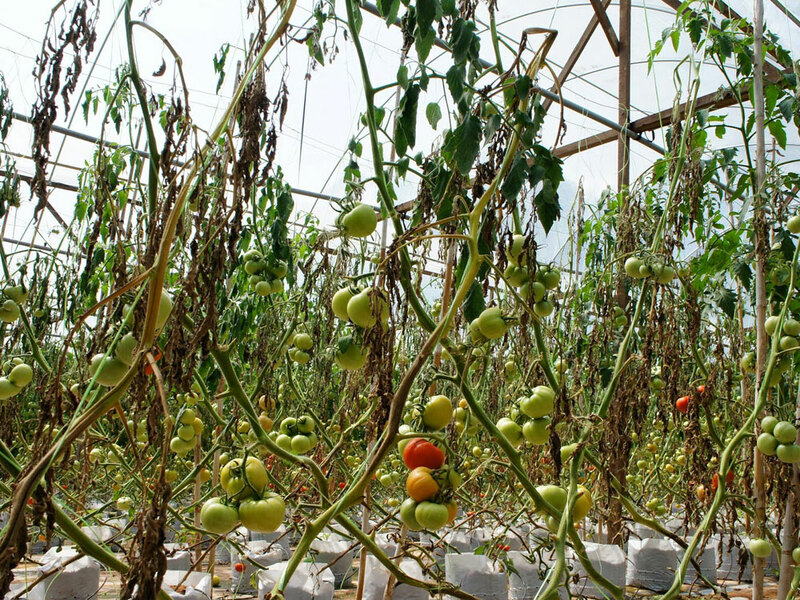 Please note that the Humidity is maintained between 50-60%. 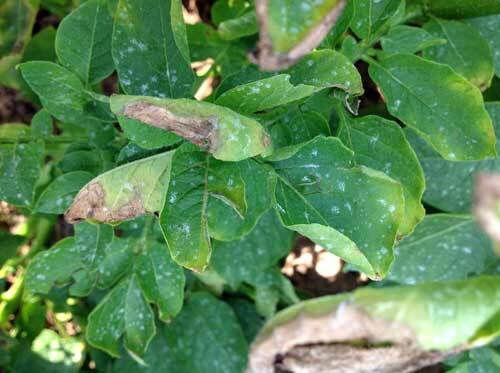 The infected leaves become reduced in size, curl upward, appear crumpled and show yellowing of veins and leaf margins. 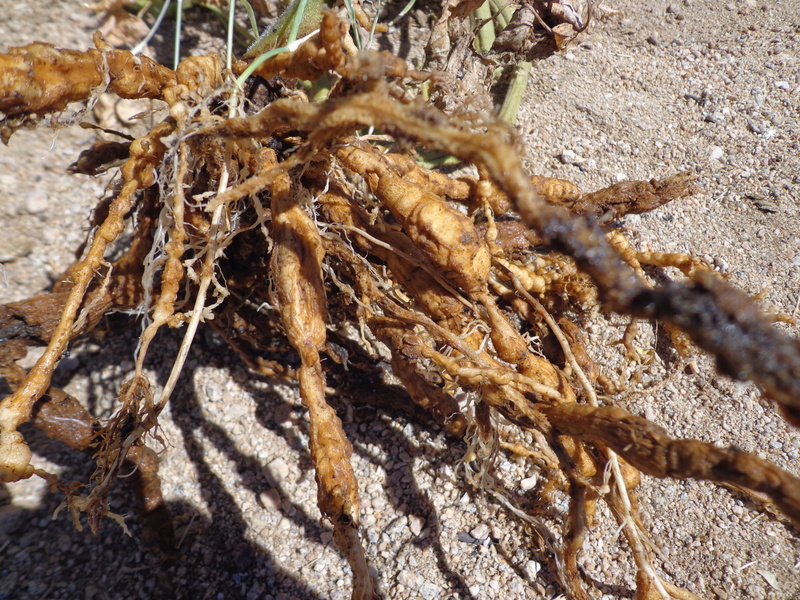 The internodes become shorter and whole plant appear stunted and bushy. 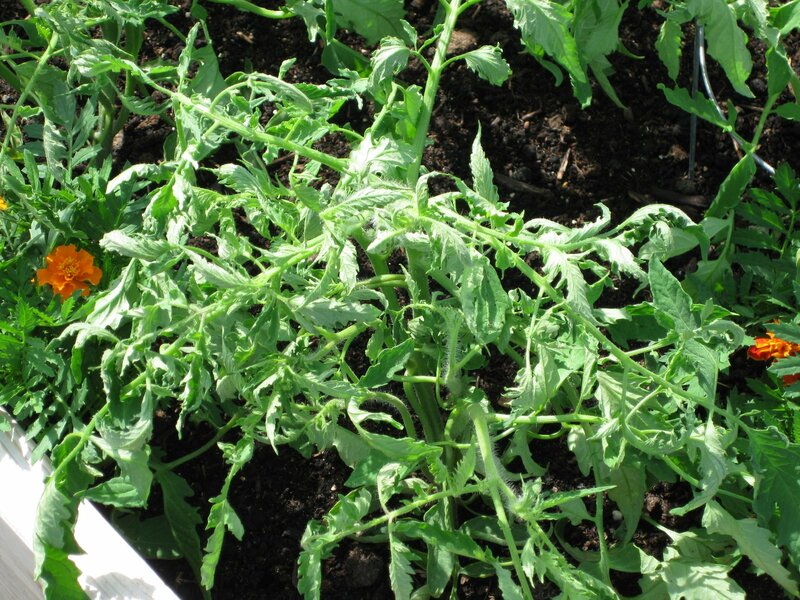 The whole plant stand erect with only upright growth. 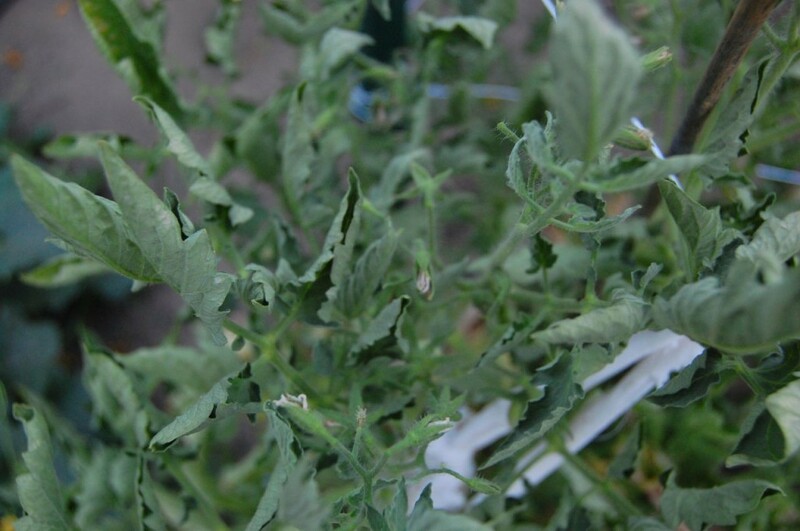 The flowers may not develop and drop off. 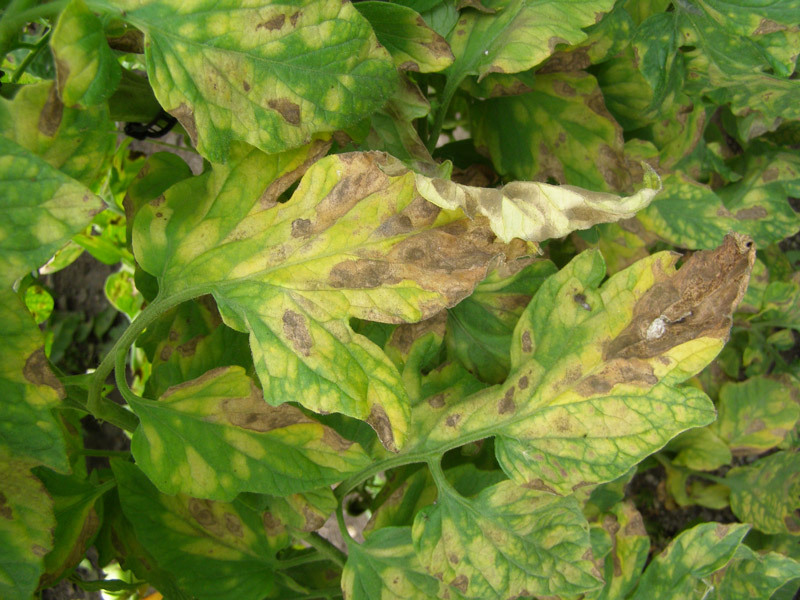 Symptoms appear first on lower leaves and spread upwards; initial symptoms of the disease may be visible as yellow blotches on the lower leaves of the plant; a rapid yellowing of leaves follows as the disease progresses; leaf veins turn brown and brown dead spots appear on the leaves; leaves may wilt then die and drop from the plant; the disease progresses upwards through the stem causing the plant to be stunted; leaves at the top of the plant remain green; fruits develop yellow shoulders and yield is reduced; loss of leaves results in fruit being susceptible to sun scald. 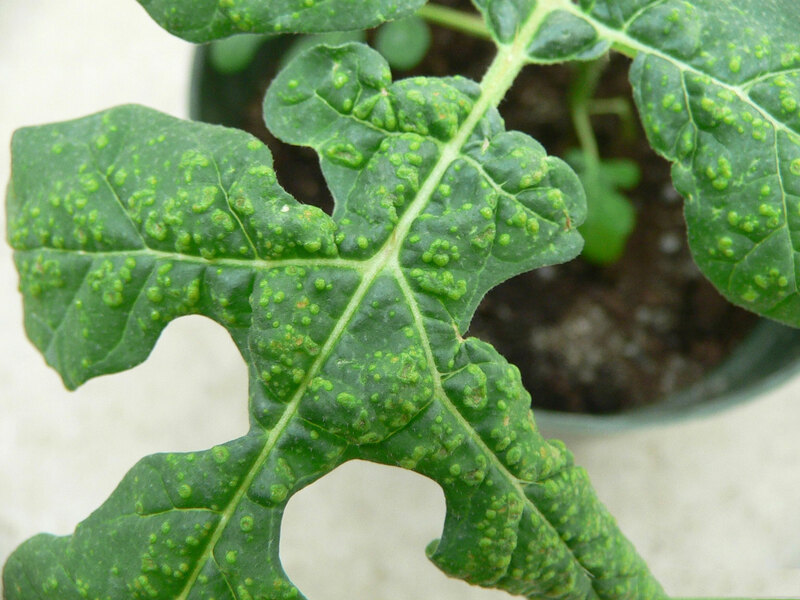 Drench ACUROSIL NANO+ @5ml/ltr twice a month. 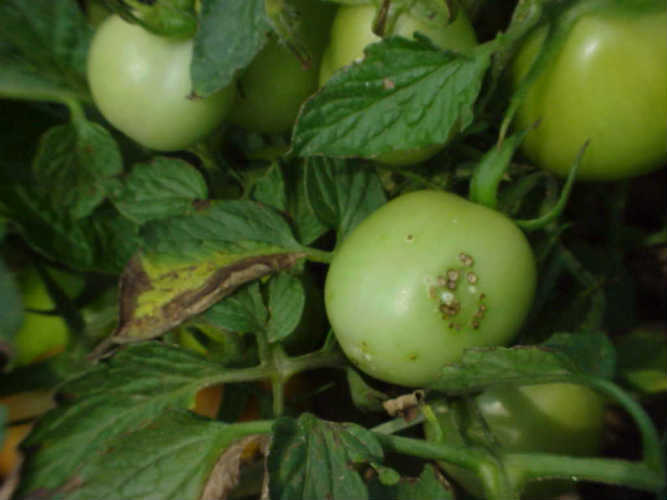 Please note that the Humidity is maintained below 55%, Irrigation and sprays should be done in the morning. 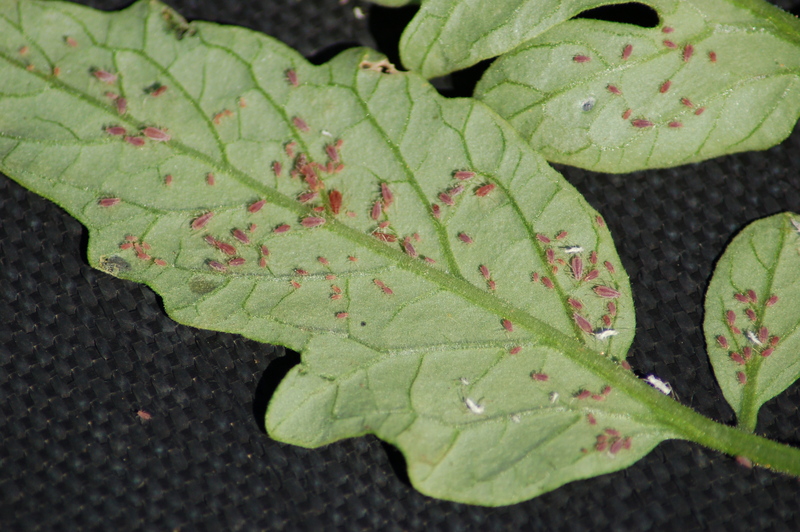 Small soft bodied insects on underside of leaves and/or stems of plant; usually green or yellow in color, but may be pink, brown, red or black depending on species and host plant; if aphid infestation is heavy it may cause leaves to yellow and/or be distorted, necrotic spots on leaves and/or stunted shoots; aphids secrete a sticky, sugary substance called honeydew which encourages the growth of sooty mold on the plants. 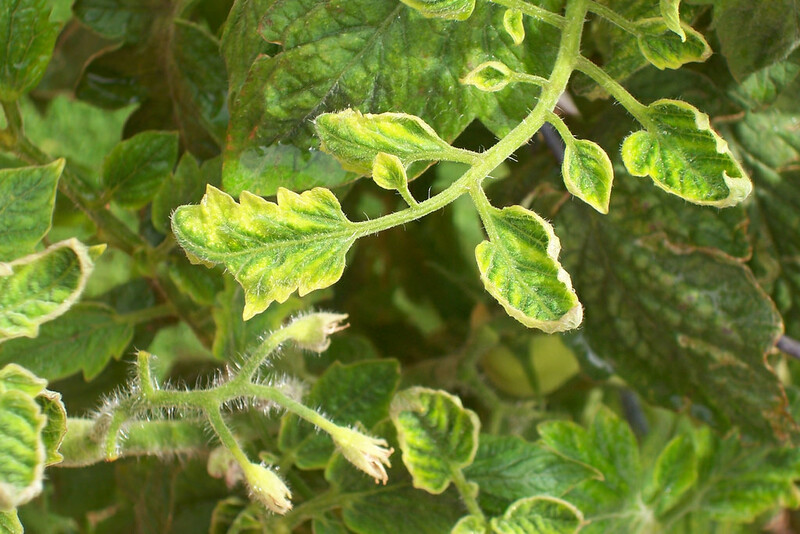 If population is high leaves and buds may be distorted; leaves appear silvery and are speckled with black feces; most damage occurs through the transmission of Tomato spotted wilt virus (TSWV); insect is small (1.5 mm) and slender and best viewed using a hand lens; adult thrips are pale yellow to light brown and the nymphs are smaller and lighter in color.